Hong Kong is not only one of the busiest ports in the world but it is also a leading centre for maritime services. These include broking, shipmanagement, insurance, banking and financial services, surveying and technical services and of course legal services. Hong Kong's credentials as a maritime legal centre are well established. Following Hong Kong's reversion to Chinese sovereignty in July 1997, Hong Kong continues to have a legal system which is separate from that of China. It is a widely respected system in which the rule of law and the independence of the judiciary are prevailing principles. The High Court maintains specialist lists to deal with Admiralty and commercial disputes. Many of the world's leading maritime law firms have offices in Hong Kong. 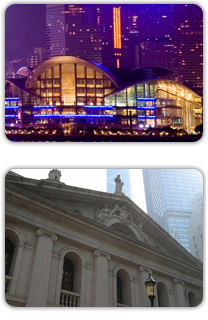 Hong Kong also boasts an independent bar and a well regarded and thriving Arbitration Centre. Hong Kong has a unique position in the legal world. On the one hand, Hong Kong enjoys an intimate commercial and constitutional relationship with mainland China. On the other hand, Hong Kong law is founded on the English system. Accordingly, the decisions of the English Courts and those of other Commonwealth jurisdictions continue (even post 1997) to have a high precedential value in the Hong Kong Courts. The Hong Kong Maritime Law Association was established in 1978. Its membership is not confined to maritime lawyers but includes shipowners, P&I clubs and other persons and organisations involved in maritime activities who have an interest in maritime law. Student and overseas members are also welcomed. Discussion and consideration of maritime law at an international level and in Hong Kong, and the advancement of reform where appropriate. Participation in the activities of CMI in seeking to develop, unify and harmonise maritime and mercantile laws, customs and practices. The HKMLA has been affiliated to CMI since 1979. Liason and co-operation with other organisations, for example the Hong Kong Shipowners Association and other Maritime Law Associations around the world. The HKMLA's activities are organized by an Executive Committee. The current Chairman of the Executive Committee is the Honourable Mr. Justice Barma. Specific assignments are conducted by Sub-committees who report to the Executive Committee. The Association holds periodic lunches with guest speakers, CPD accredited seminars, an AGM, annual cocktail party and other functions.